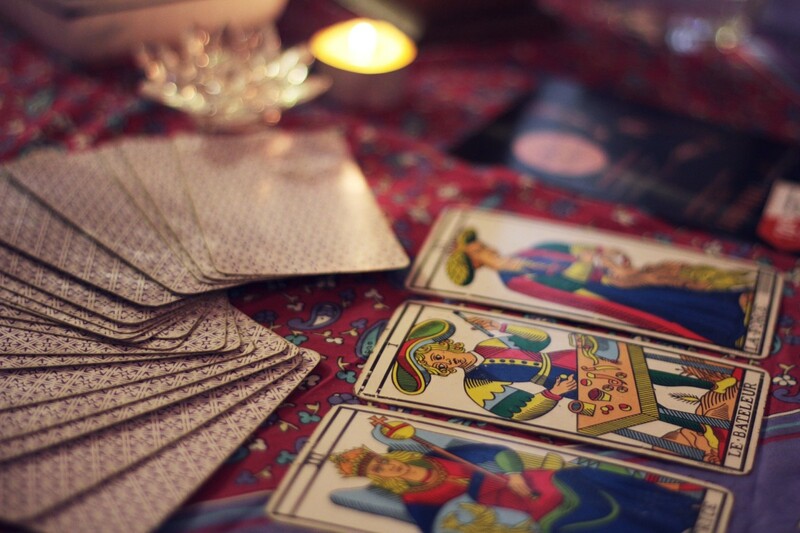 We tarot readers are asked to read about romantic relationships more than any other life aspect. Relationships are the most rewarding parts of our life, yet they also cause the most anguish. I’ve created these three-card love tarot spreads to answer those pressing relationship questions. So shuffle your cards and let’s get started. Before I show you the first spread or layout, just a word of advice. 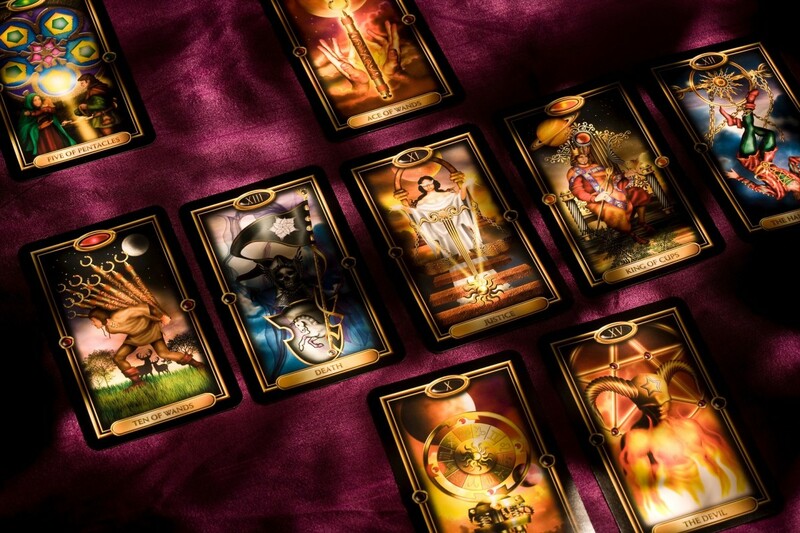 A tarot reading is like a frozen moment in time. The cards you turn over today in answer to your question will be different to the ones you turn tomorrow. 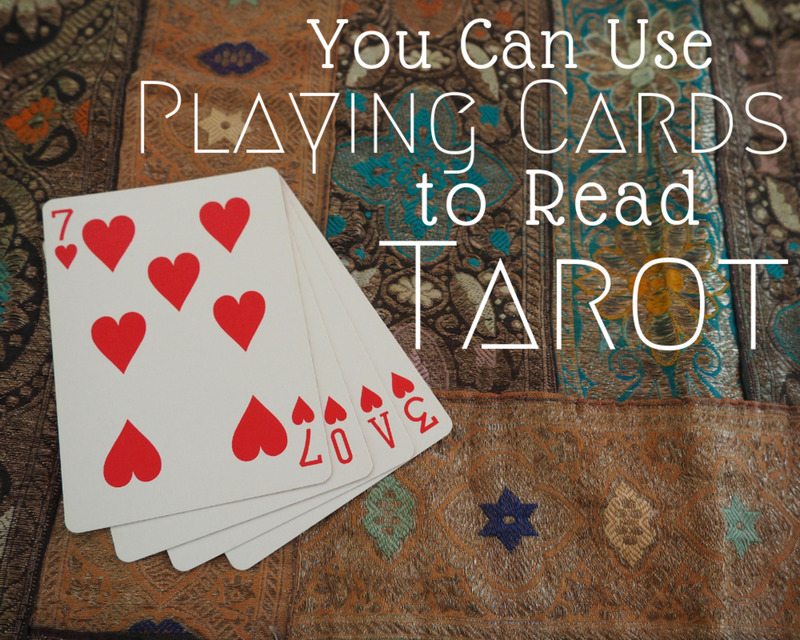 This can be very confusing and may cause you to keep repeating readings until you get the cards you want to see. This is not a good idea. So make up your mind to only read once on any single question or issue. 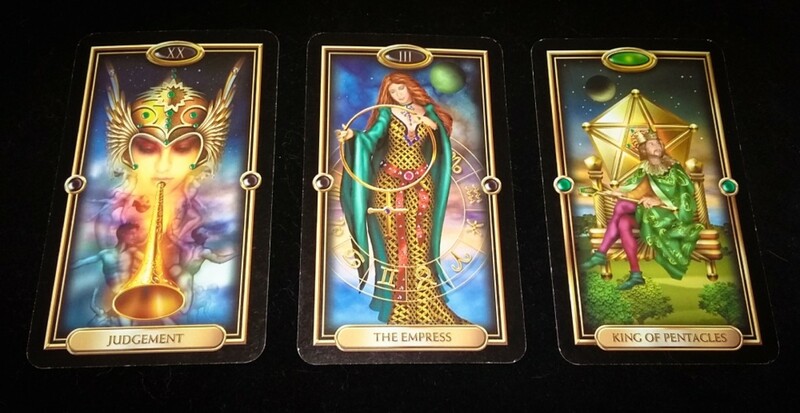 Then wait for at least two weeks to a month before doing a similar reading. Spread 1: Is This True Love? 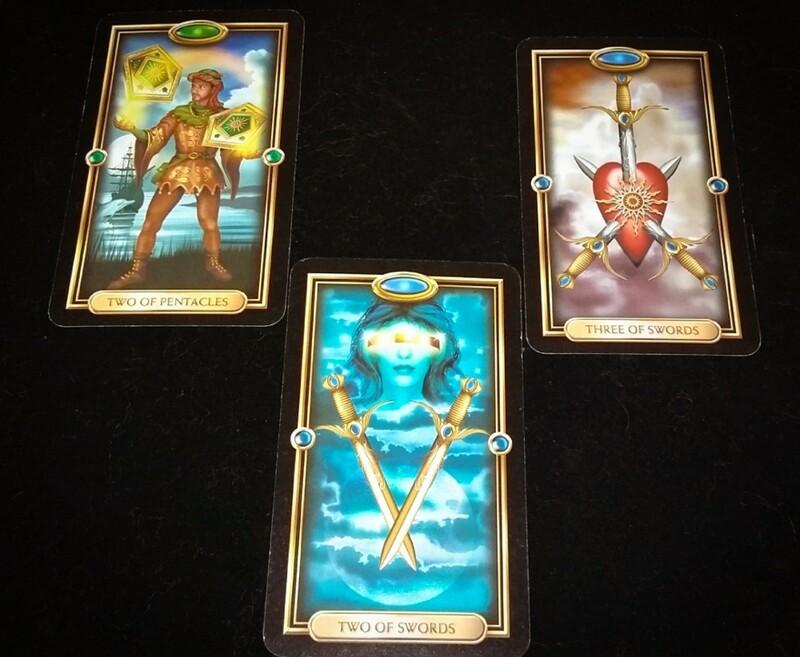 This spread is to help you get a handle on the seriousness, or not, of the relationship. It taps into your own intuitive feelings about the romance, delves into your lover’s view point and checks whether there is a possible future in your partnership. Lay the cards out in a fan shape, left to right. I’m not using reversals, but if you are comfortable with them, go ahead and use them. The Four of Wands is, as are all the fours, about stability and security. This is a very happy, celebratory card. If I were doing this reading for myself, I would say that my inner guidance was telling me that this is a pretty good start to any relationship. The Ten of Cups is a beautiful card, and shows that the other partner shares a vision of long-lasting happiness. He feels fulfilled in the relationship. Slightly challenging, the Seven of Pentacles hints at one or more periods of boredom or longing for something different. It’s not a drastic outlook and could be construed as being quite positive in that there is a lot of good to be harvested in this relationship. It may also provide a spiritual platform from which both can grow and learn. Spread 2: Where Are We Going Wrong? When things aren’t going to plan, and you wonder if there’s any point staying together, try this quick spread for a quick answer. Card #1 What difficulties should we work on? Card #2 What is good about our relationship? Card #3 What is the outlook for us? 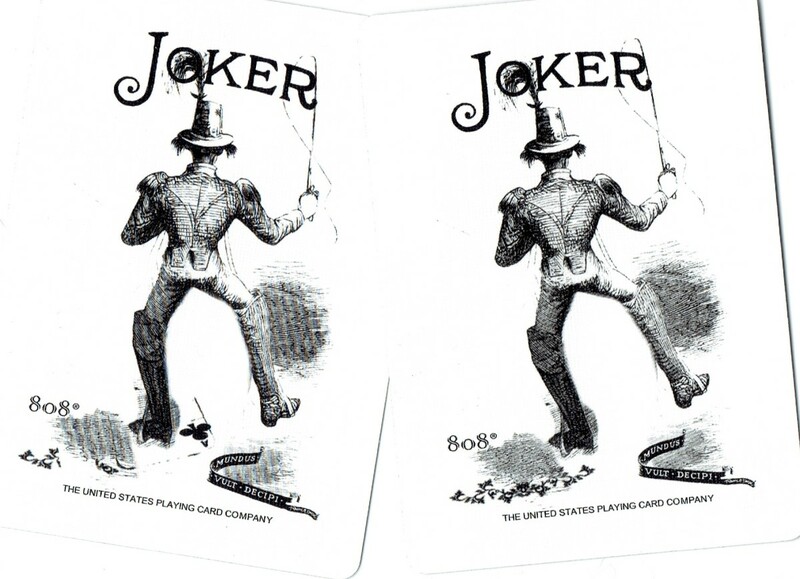 Place the cards down in a horizontal row, left to right. Again, it’s your decisions whether to make use of reversals. Judgment tells me that there could be an unbalance in the relationship, or, to take the card more literally, perhaps one partner is overly critical or judge mental. Sometimes, you have to take the simple message. The Empress indicates that the physical aspect of the relationship is good and is probably helping keep this couple together. This card may also be pointing at home and family as being the glue in this partnership. The King of Pentacles is the last card in the deck, so one could interpret that as meaning the relationship will last a very long time. As a personality, this King is committed and loyal. 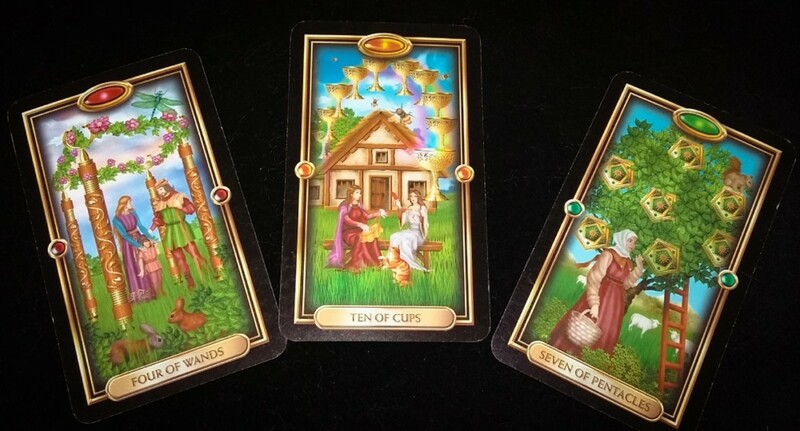 These three cards tell me that this relationship has definitely got a lot more mileage in it and that the current difficulties are merely temporary hiccups that can be overcome with a little work. 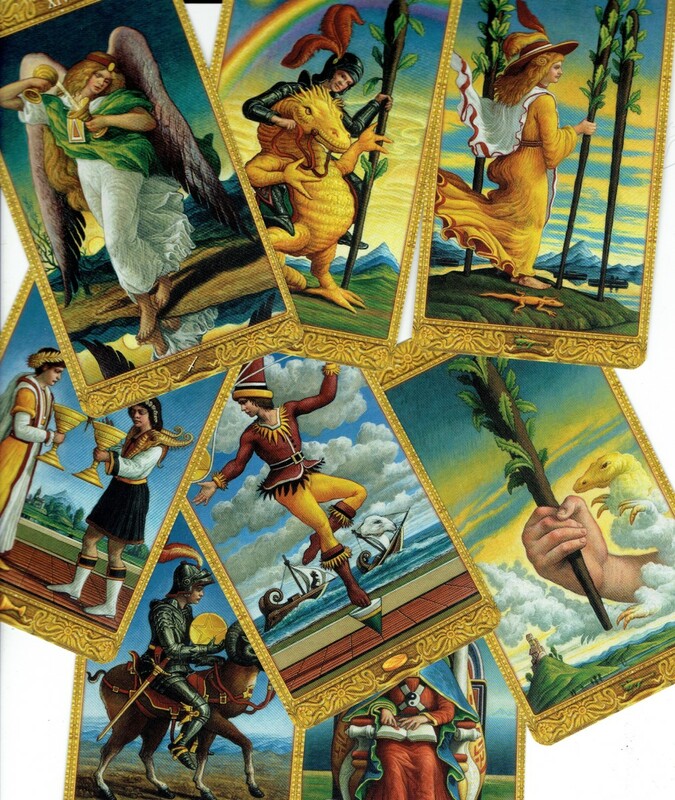 The cards used in the example readings is the beautiful Gilded Tarot by Ciro Marchetti. It has become one of the most popular and well-loved decks in recent years. Spread 3: Is This My Twin Flame? I suppose if you have to ask the question, the answer is already no. However, if you are looking for confirmation that your love is indeed your twin flame, then this spread may help. Card #1 Past lives connection? Card #2 What lessons will we learn together in this life? Card #3 Will we stay together, or move on? Place cards down in a V shape, again, left to right, with card #2 being the pointy bit of the V.
My guess would be that the connection between these two people is not a long standing one. The premise of a twin flame relationship is that the partners have been together before, and will be again. 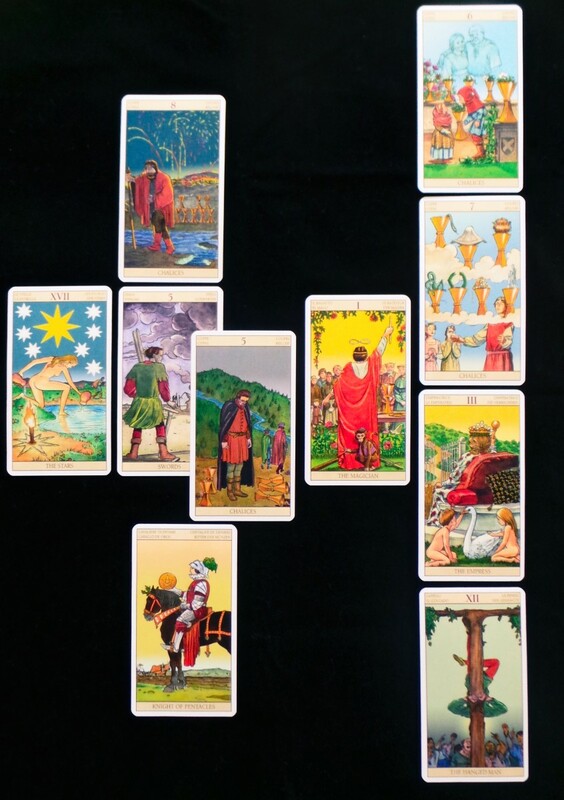 The Two of Pentacles suggests previous connections might have been tenuous and intermittent. The Two of Swords shows the couple that their main lesson will be to learn how to see and discern truth. Perhaps one, or both of them, is guilty of self-deception. They may have appeared in each other’s lives to help this understanding. The Three of Swords is often taken as a broken heart. I tend to see it as mixed up and hurtful communications. Of course these could lead to a broken heart, but that doesn’t necessarily follow. I would guess, that once the lessons indicated by the Two of Swords have been assimilated, the relationship will end… until the next life lesson needs to be addressed. 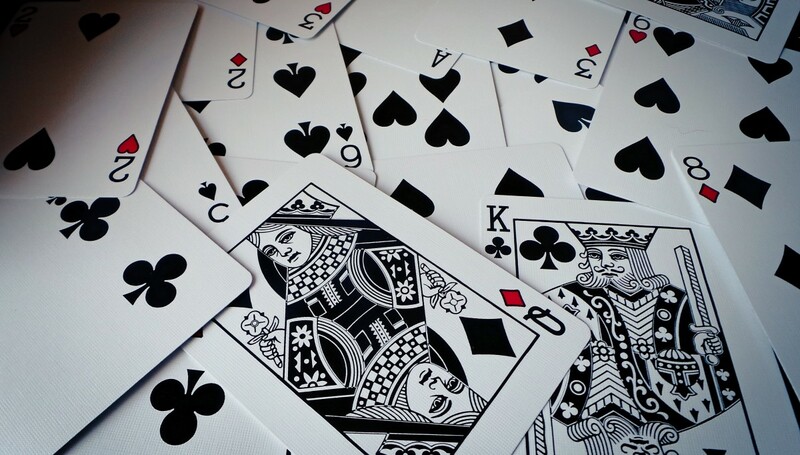 Can the cards really tell me for certain that my boyfriend is cheating? Tarot will always tell you what you need to know at any given time. So if your boyfriend is cheating, your cards might confirm or deny. They may give you the reason as to why he might be cheating. They might also tell you that if there's no trust in the relationship. Then you might think about ending it. Where there's no trust, there's no love. Reading this article made me feel like peering into another world. Nice work! www.tarot-study.info Better to do the conversation/reading over there, I think. Then we can connect properly. Very pleased to meet you too, by the way. Wait... I found your website and email. Will be in touch. Yay~ I got completely lost trying to find your "tarot study info." Maybe I'm not smart enough to do this....? lol lol There are soooo many sites out there. And I'm old and easily confused! I asked a question on somebody's site, however. I look forward to learning more from you and am ready for your first practice question. If I should be addressing these comments elsewhere, please point me in the right direction. At any rate, thank you for the comment and support! 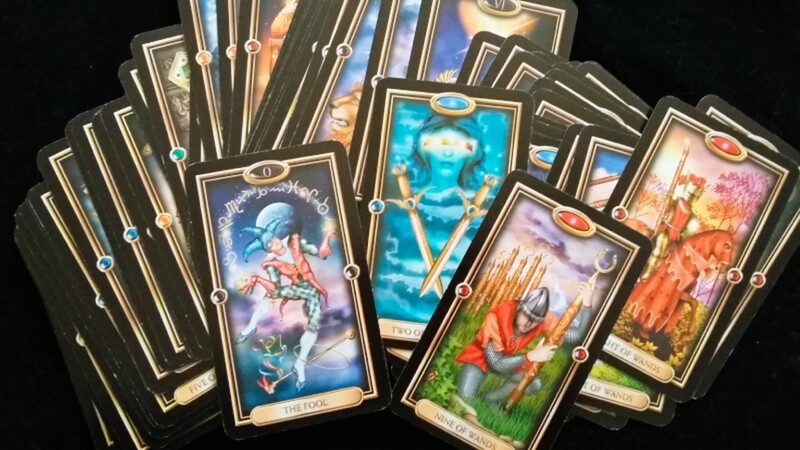 I began learning the Tarot many years ago, but it got kind of lost in the shuffle of everyday life. But now...I want to pick it up again. My question/comment: I sometimes get a "feel" for a card that is different from the accepted meaning. In those cases, I tend to go with my personal feelings. Also...many times I can get an overall feel for the entire spread and not look at it again, instead, just let the feelings flow to create a "story." I once read for a man who said he'd been to a reader. He knew that I was learning and wanted to see what I would come up with (as practice, not for payment). I laid out the spread and just took off from there, rattling off what I felt/saw. This man was unknown to me other than on a professional basis; I did typing for him occasionally. At the end of the reading, I reminded him that I was just learning. He took out his wallet and began throwing money at me ($86 as I recall), saying my reading was far more on target than the one he'd already paid for! Couldn't figure out how I could "see" things about him when I barely knew him from a hot rock. We had NEVER had personal conversations. Can you type this for me? That was the extent of our previous conversations. Now, this reading was done almost entirely after an initial look at the cards, and that was it. The rest came out of.....my head? At any rate. I'm wondering what your feelings are when your feelings are out of sync with the generally accepted card meanings.